What Diseases Does My Dog’s Breed Get? Most decisions to own a purebred dog are based entirely on positive aspects, like temperament, personality and lifestyle. These are important, but we should also focus on the negative, like what can go wrong. Some people believe that genetic diseases are becoming more common in fcertain purebred dogs due to limited gene pools and close breeding. Regardless of whether this is true, genetic diseases are well-known and common and we should make ourselves aware of them. Read about diseases of cat breeds here. How do I Know What Breeds My Dog Is? Got a crossbreed and don’t know what the breeds are? Easy! Bring him or her in for a DNA test. All the breeds listed below can be detected. Visit our DNA test page for more information. Which Genetic Diseases Are Common In Australia? If you search for the genetic diseases of any dog breed, you’ll get a large and bewildering list. Which ones are important? Just because a disease is reported doesn’t mean it will happen to your dog! I’m going to assume that if I haven’t seen the disease in over 20 years of practice, it’s fairly unlikely in your dog. Therefore, I’ve not included a disease if I haven’t seen it in that breed. 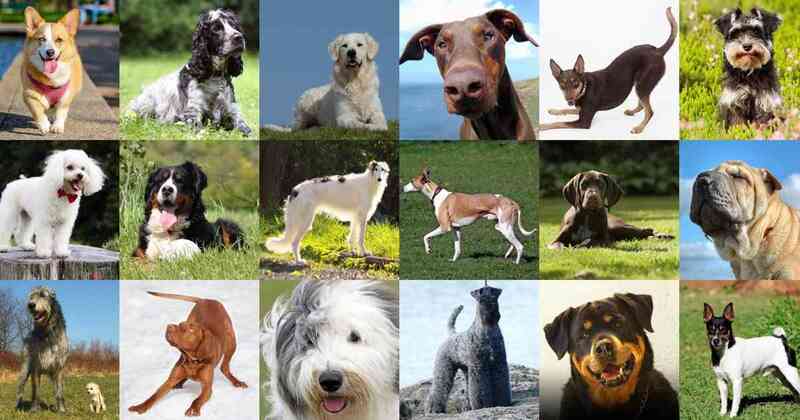 Data for these breeds originally came from the Sydney University LIDA DOGS database (no longer publicly available). When there is a missing disease which I think is important and should be added, it appears at the end in italics. This isn’t good science, but my aim is to make a list relevant to you and your dog. What’s wrong with the lists? See my comments at the end. All chondrodystrophoid breeds (Dachshunds, Corgis, Bassets, Beagles, Dandie Dinmont) are prone to spinal disc calcification and disc disease. All deep chested dogs (Rottweiler, Great Dane, German Shepherd, Pointers, Setters etc) are prone to Gastric Dilation-Volvulus Syndrome. All herding breeds and their crosses are prone to the MDR1 gene mutation which can make some common drugs toxic (your vet will tell you). All sighthounds (Greyhound etc) are sensitive to certain anaesthetics, but your vet is on top of this one. All short-faced breeds are prone to brachycephalic syndrome, a cause of airway obstruction. As well as the diseases I haven’t seen in a particular breed, I’ve excluded mild or trivial diseases, diseases of breeding dogs, the wide variety of rare eye diseases and behaviour problems. That means some dogs on my list have no entries. Remember, this list is not complete and is only one vet’s impressions of what to watch out for. Want more information? Please ask us! Australian Koolie no LIDA entry! Staffordshire Bull Terrier no LIDA entry! Why Is This Dog Disease List Not Perfect? Some data comes from dogs in other countries. No doubt, due to local gene pool variations, there are going to be some Australian differences. You also won’t get much idea of how common or rare each disease is. For that reason I made this smaller list with only the diseases we see regularly. Not all diseases will be known to affect a certain breed. For a disease to make the list, someone has to have documented its increased prevalence in a breed. That’s not easy and is usually only done by university researchers. We can expect mild or rare diseases to be under-reported, especially in rare breeds.That’s why I added my own extras in italics, even though I know they are going to be less reliable. Rarer dogs appear to have fewer entries than common dogs like Labradors without necessarily being more healthy. There are breeds missing. 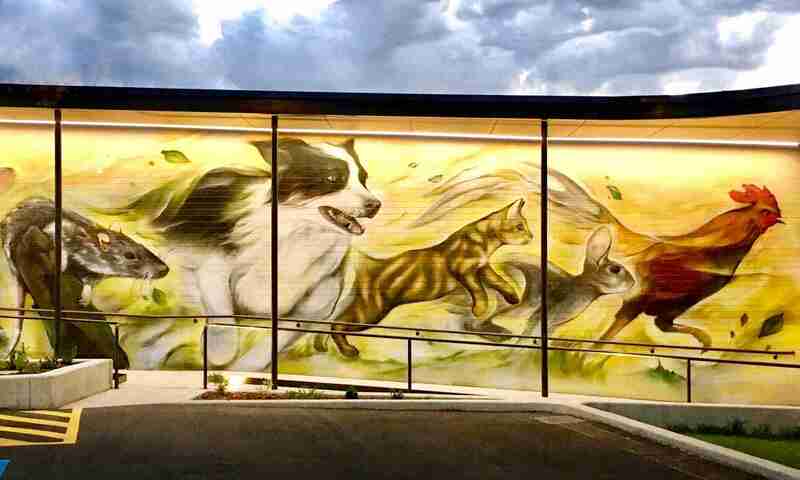 We’ve contacted Sydney uni to ask why the English Staffy, Cane Corso, Dogue de Bordeaux, Koolie, Chinese Crested, Finnish Lapphund, Maremma Sheepdog, Staffordshire Bull Terrier, Swedish Vallhund, Tenterfield Terrier, Tibetan Spaniel aren’t included. Stay tuned. If you think there are a lot of diseases for your breed, have a look at the list of human genetic diseases and you’ll see this is only the tip of the iceberg. Next PostNext What Diseases Does My Cat’s Breed Get?